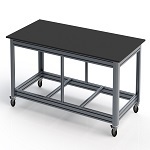 This table is ideal for shop assemblers that need that extra work area, for those larger jobs. This table is designed for a 4' wide x 8' long Melamine table top. With using a 3/4" top the height of the overall table is 36 inches. 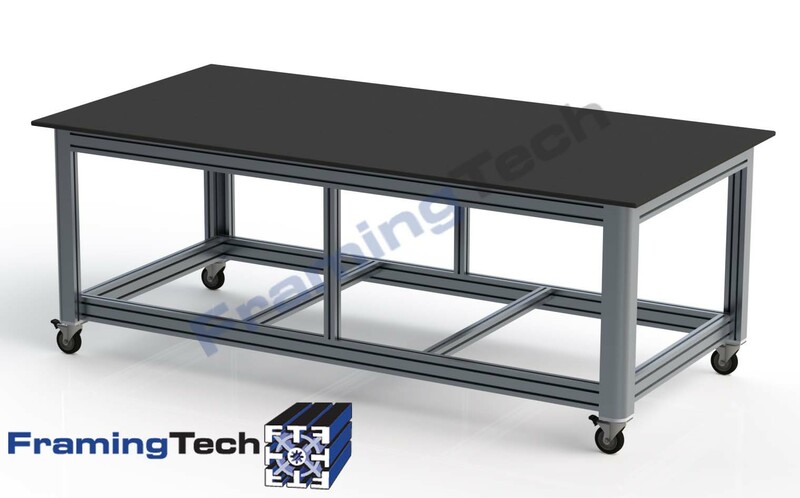 The table is supported on four 4" swivel casters with brakes. 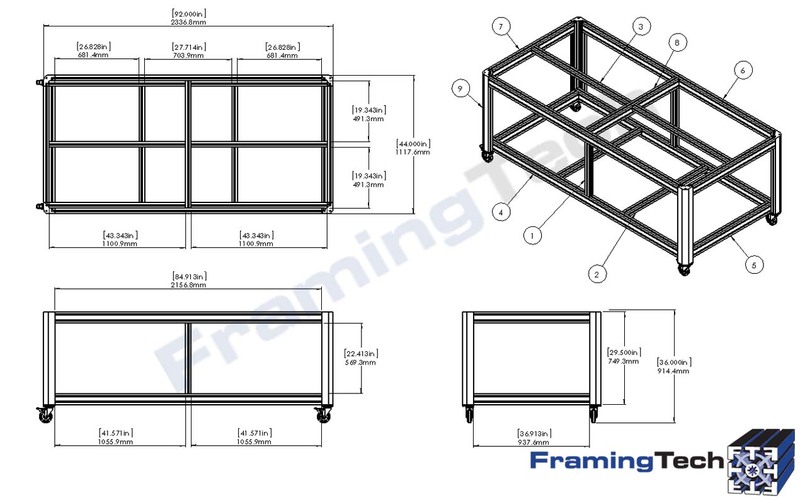 This basic table frame can be customized with drawers and/or shelves.